Now, open the Emulator application you have installed and look for its search bar. Once you found it, type Starbucks in the search bar and press Search. Click on Starbucks application icon. 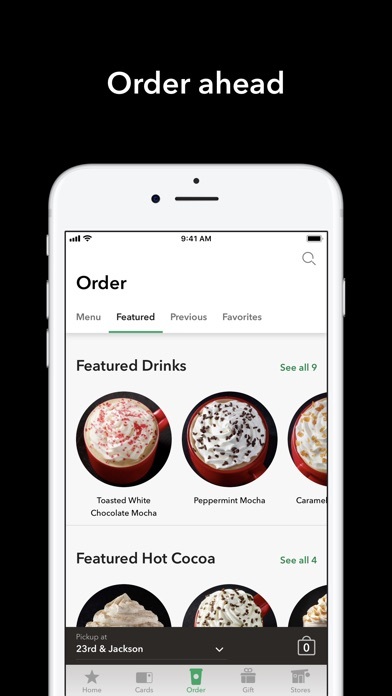 A window of Starbucks on the Play Store or the app store will open and it will display the Store in your emulator application. Now, press the Install button and like on an iPhone or Android device, your application will start downloading. Now we are all done. 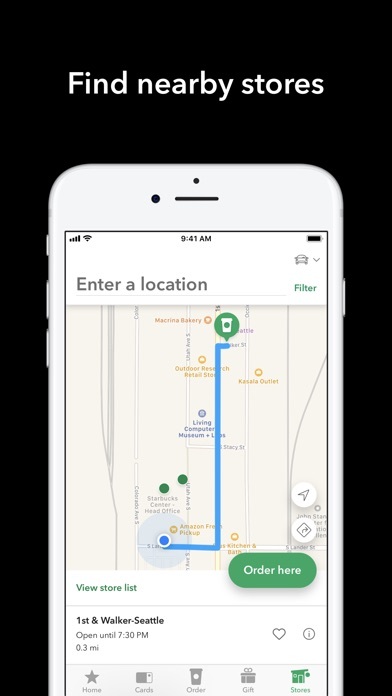 The Starbucks® app is a convenient way to pay in store or skip the line and order ahead. 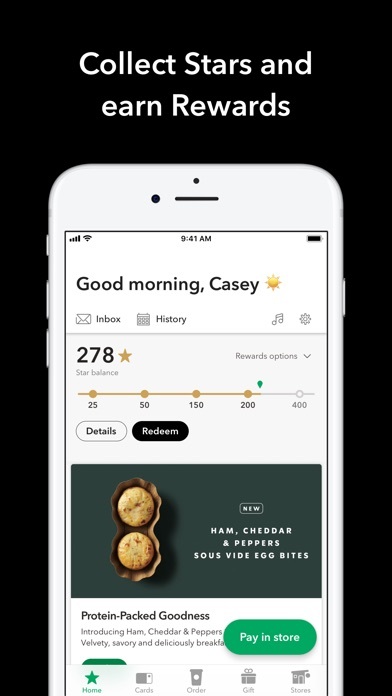 Rewards are built right in, so you’ll collect Stars and start earning free drinks and food with every purchase. 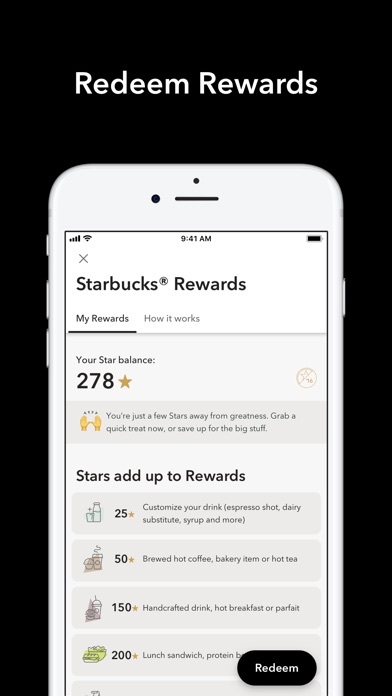 Pay in store Save time and earn Rewards when you pay with the Starbucks® app at many stores in the U.S. 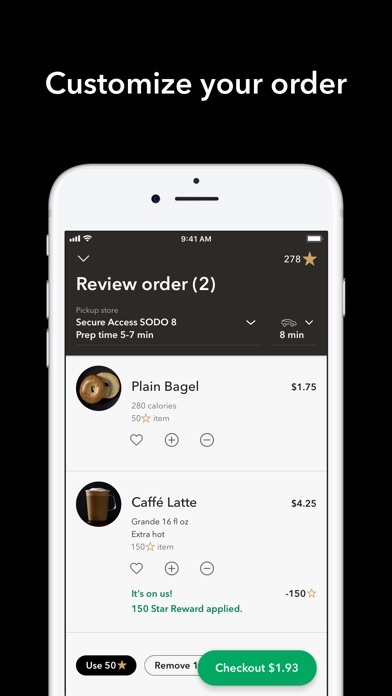 Mobile Order & Pay Customize and place your order, and pick up from a nearby store without waiting in line. Rewards Track your Stars and redeem Rewards for a free food or drink of your choosing. 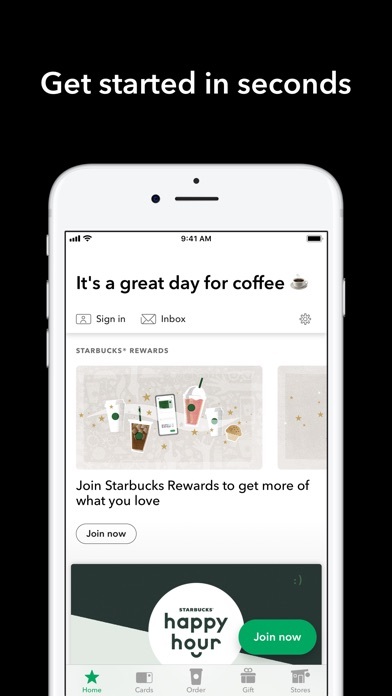 Receive custom offers as a Starbucks Rewards™ member. Send a gift Say thanks with a digital Starbucks Card. 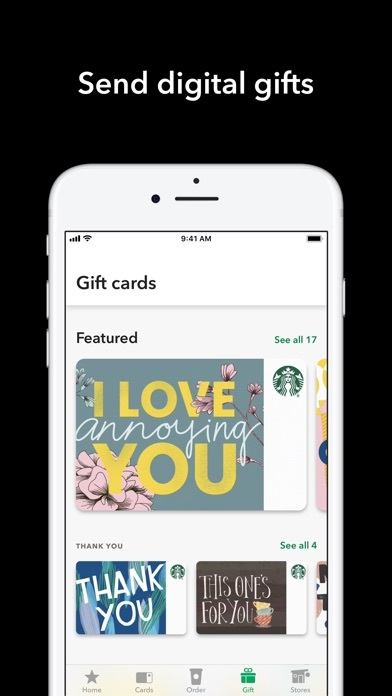 It’s easy to redeem a gift from email or in the Starbucks® app. 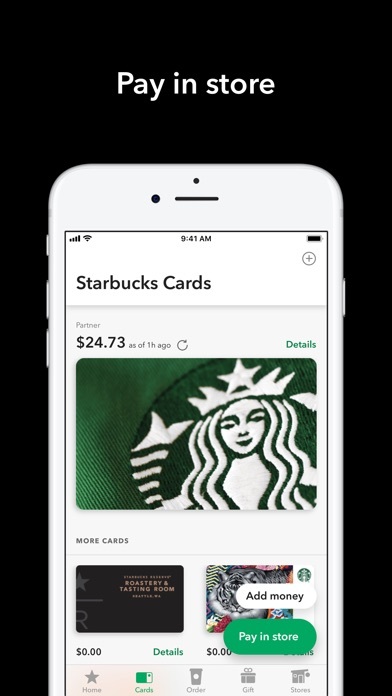 Manage cards Check your Starbucks Card balance, add money, view past purchases and transfer balances between cards. Find a store See stores near you, get directions, hours and view store amenities before you make the trip. Music Discover what songs are playing at your local store. Tip your barista Leave a tip on purchases made with the app at many stores in the U.S. I love this app. I frequent Starbucks often. My entire family enjoys Starbucks. So, sometimes our bill is quite hefty but that’s quite ok. Our drinks are usually always correct. I have only had maybe one or two incidents with them making the wrong drink in like 15 yrs maybe more. I took the drink back and they told me to keep it and made me the correct drink. . I like to order through the app because everyone in my family has their own recipe. My daughter always has some complicated drink order mine aren’t so bad. The app is so convenient because after you make a complicated drink you just save it to favorites and you never have to type all of that in ever again. I alter the original drink slightly or sometimes to the point where it almost becomes an entirely diff drink. I guess that’s why our drinks are usually correct because they have to read the label to make the drink. Our drinks aren’t what you would normally see someone ordering. I even went to Paris and while I was there I went to a Starbuck’s. Using the choose a store was very helpful in locating the closest store while in Paris. I travel a lot so no matter where I visit I always find a Starbuck’s. Love love this app. I also like how when I receive an email with an award it is automatically loaded in my app. The mobile app is so useful, however, the last update seemed to have gotten rid of some features I found helpful. For one, I don’t like that now when you go Into the history, it no longer shows the date and time of your purchase, so if you need to take a screenshot of your “receipt” it does not include the complete purchase info, which renders it less useful. It shows a receipt number, which is not useful to me, and it is inconvenient to have to screenshot both the history list AND the purchase itself. Why did you get rid of this? Why fix what wasn’t broken? Also, you have removed the date info for the Starbucks cards. It was helpful to have the info on the start dates of my cards to differentiate the cards, especially the similar ones. It used to have that info before. It also is frustrating when the app does not let you choose the store you want and sometimes suggests some faraway store. It would be helpful if it also told you reasons why you are unable to use the app - ie, store shut off mobile orders, store is closing, etc. Otherwise, you think it’s your phone or app and you waste a lot of time. I also would like that the app kept the history details for the “free” items, because just because it’s free, doesn’t mean you don’t want to record WHAT you had. But, for the most part, I like using the app.